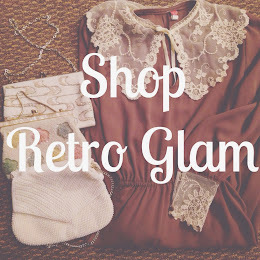 Retro Glam: Monkeys, Ducks and what? a Unicorn? So this past weekend my aunt asked me to watch her cat for a few days. I thought it would be a good idea and said yes. I had a small phase where I tried to convince Moe on getting a cat, but I failed. You would think that having the cat over for a few days will only make me want one even more or help me convince Moe on getting one. The truth is that this whole weekend has been a nightmare! Having any sort of pet is time consuming. Not only that but there are also expenses involved. Maybe back then when I was younger it was easier for me to have cats since I had more time on my hands and less financial needs. This whole weekend I have been cleaning the cats but after he poops. I know gross! I think he still doesn't know how to clean up since he is very young. Also, I have to keep a very close eye on him because he keeps scracthing on the silk sofa. Not to mention how he loves to climb me stabbing me with his nails. I'm convinced this cat is from hell. I still love cats but I'm no longer thrilled about ever having one. haha so true! I'm glad I did this to help my aunt because it helped me realize that right now is not the time for me to have any sorts of pets. Yeah, pets are a LOT of work. Love the unicorn! !